SAN DIEGO, May 16, 2011 -- The U.S. Air Force has recognized for operational excellence the U.S. Navy/Northrop Grumman Corporation (NYSE:NOC) flight test team that successfully conducted first and subsequent flights of the Navy's X-47B unmanned aircraft earlier this year. The team, which performed its work as part of the Navy's Unmanned Combat Air System Carrier Demonstration (UCAS-D) program, was honored at three levels by the Air Force Flight Test Center, Edwards Air Force Base, Calif.
On April 18, the team was recognized by the 412 th Operations Group as the Flight Test Team of the Quarter for its many notable achievements leading up to and including the X-47B's first flight on Feb. 4 and two additional envelope expansion flights in early March. The 412 th Operations Group is part of the 412 th Test Wing based at Edwards. On April 21, the 412 th Test Wing also selected the UCAS-D flight test team as the Team of the Quarter, again in recognition of its consistent success with the X-47B flight test program. On May 13, the team was also recognized by the Air Force Flight Test Center as the Team of the Quarter. "Congratulations are in order for this high performing team," said Tom Soard, leader of Northrop Grumman's X-47B Flight Test Integrated Product Team. "We work day to day among the best flight testers in the world, so it's an honor to have our performance and professionalism recognized in this community. This award is not just a team award. It is a tribute to every member of the test team for doing what he/she knows is the right thing every day, and doing it safely, reliably and very well." 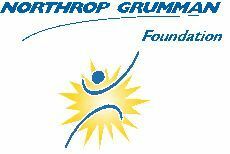 The test team comprises flight test engineers and specialists from Northrop Grumman; Naval Air Systems Command, Patuxent River, Md. ; the Air Force Flight Test Center; and UCAS-D joint industry team members Pratt & Whitney and Lockheed Martin. Edwards Air Force Base is home to the Air Force Flight Test Center, the 412th Test Wing and the 95th Air Base Wing. The Flight Test Center's mission is to conduct and support research, development, test and evaluation of aerospace systems from concept to combat. Base test forces have played a vital role in virtually every aircraft to enter the Air Force inventory since World War II.